Transportation: Take a cab or subway (Red Line) from Harvard Square outbound to Alewife Station. Summer Shack is at the Alewife stop. About Our Hosts: Harris Corporation is a leading technology innovator, solving customers’ toughest mission-critical challenges by providing solutions that connect, inform and protect. Harris supports customers in more than 100 countries and has approximately $7.5 billion in annual revenue and 21,000 employees worldwide. The Company is organized into four business segments: Communication Systems, Space and Intelligence Systems, Electronic Systems and Critical Networks. 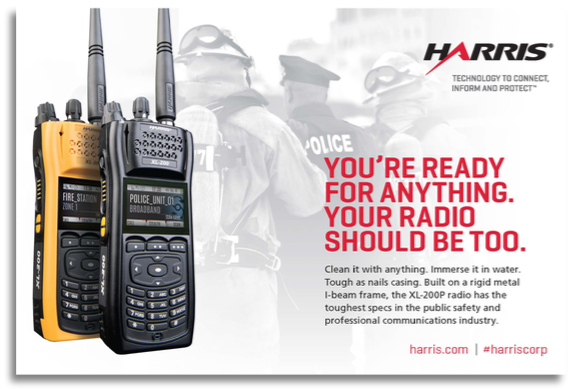 Harris’ Public Safety and Professional Communications business is a leading supplier of communications systems and equipment to support public safety, federal, utility, commercial and transportation markets. The company has more than 80 years of experience in public safety and professional communications, and supports more than 500 systems around the world. Learn more at harris.com. Each group selects a spokesperson to share the most pressing challenges you are facing. The group will be eager to hear what is happening in your jurisdiction concerning labor relations issues (pensions, recruitment and retention), initiatives to address the relationship between police and the communities you serve, public and media strategies for coverage of law enforcement, and input into policies related to new technology (such as body cameras). 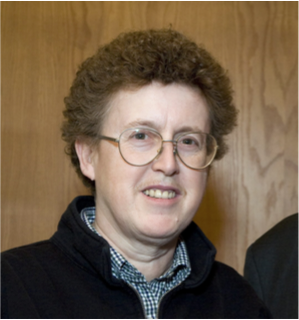 Elaine Bernard is Senior Research Associate with the Labor and Worklife Program at Harvard Law School. Widely regarded as a leading expert in the history of unions and the valuable role they play in curbing income inequality and building a vibrant, financially secure middle class, she is the former executive director of the Labor and Worklife Program at Harvard Law School and the Harvard Trade Union Program. Since 2009, Bernard has also been the academic director of an Executive Leadership Program for Canadian police unions, sponsored by the Canadian Police Association and the University of Ottawa Telfer School. The Labor and Worklife Program (LWP) is Harvard University’s forum for research and teaching on the world of work and its implications for society. Located at the Harvard Law School, the LWP brings together scholars and policy experts from a variety of disciplines to analyze critical labor issues in the law, economy, and society. The LWP also provides unique education for labor leaders throughout the world via the oldest executive training program at Harvard University, the Harvard Trade Union Program, founded in 1942. In 2017 four police union leaders attended the six-week long program. LWP has hosted the Police Union Seminar annually since 1999. Overwhelmed with Conflict? This Class Will Help! There are few professions that are more conflict-ridden than law enforcement. Whether it is conflicts with the people you arrest, management, your union, colleagues who make bad choices, or the citizens you serve, people doing police work are overwhelmed with conflict coming from all directions. In this session, Dr. Shapiro, a leading expert on conflict resolution, will talk about the myriad reasons people get bogged down in endless conflicts and reveal some helpful ways to resolve the issues and move forward. Dr. Shapiro will walk you through successful ways to get out of the conflict mode and into the collaboration mode with a powerful, proven method that will work. Based on two decades of research, Dan Shapiro will discuss the five core motivational concerns that underpin effective collaboration and you will get concrete advice for using them in a practical setting. Examples will be drawn from his experiences working with everyone from clashing corporate executives, hostage negotiators, international conflicts and families in crisis. Questions and discussion encouraged. All participants will receive a copy of Dan Shapiro’s most recent book, Negotiating the Nonnegotiable. This class will continue after lunch. Daniel Shapiro, Ph.D., is founder and director of the Harvard International Negotiation Program, associate professor in psychology at Harvard Medical School/ McLean Hospital, and affiliate faculty at the Program on Negotiation at Harvard Law School. He consults regularly for government leaders and Fortune 500 companies, and has worked with everyone from hostage negotiators and families in crisis, to disputing CEOs and clashing heads of state. He has conducted successful conflict resolution initiatives in the Middle East, Europe, and East Asia, and for three years has chaired the World Economic Forum’s Global Agenda Council on Conflict Resolution. Through non-profit funding, he developed a conflict management program that now reaches one million young people across more than twenty countries. Are you sharing the news when your members do great work? Is your message getting through to others or are you talking to yourself? Are you using images and video to enhance public safety? Mike Parker saw rapid advances in social media and instant communications as an opportunity to improve public safety. He led an effort to partner with the public, other policing agencies, emergency services and the media to routinely improve community safety and reduce unnecessary fear. He will give you helpful tools for what you should and should not do through real life examples of failures and successes using social media, websites, and media outreach from across the nation. Please feel free to share your successes and failures with the class. 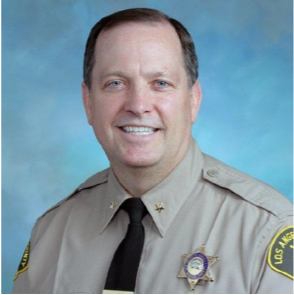 Mike Parker is a 31-year veteran of the Los Angeles County Sheriff’s Department (LASD), and has worked at 15 patrol, jail, and administrative assignments since he graduated from the Sheriff’s Academy. His most recent assignment was commander of the Personnel and Training Command of the LASD, which includes over 9,500 deputies and 7,500 professional staff. Mike has presented at over 50 major policing conferences in over 30 countries and has published over 100 articles on communications, community policing and problem solving. In 2012, Mike received the FEMA “Community Preparedness Heroes Award,” and in 2013, received the White House “Champions of Change” Award. He is considered one of the leading experts in how law enforcement agencies and associations can implement a communications and public relations effort with an emphasis on social media. In this session, Will Aitchison, one of the nation’s most influential attorneys representing law enforcement unions and associations, will review important legal developments over the last year, including case law concerning body cameras, the Garrity rule, Brady lists, the Fair Labor Standards Act, and other important topics. He will also review wage and benefit settlements among the country’s largest police departments. 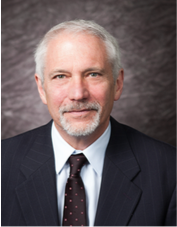 Will Aitchison is a Portland, Oregon, attorney who has represented over 100 law enforcement and firefighter labor organizations. He is a veteran of hundreds of public sector labor negotiations and has handled dozens of FLSA lawsuits for law enforcement officers, recovering over $100 million in damages. Mr. Aitchison received his law degree from Georgetown University and is the author of eight books on public sector labor matters, including The Rights of Law Enforcement Officers (6th Edition), The Fair Labor Standards Act (5th Edition), and Collective Bargaining. Will also acts as a negotiations consultant for law enforcement labor organizations. 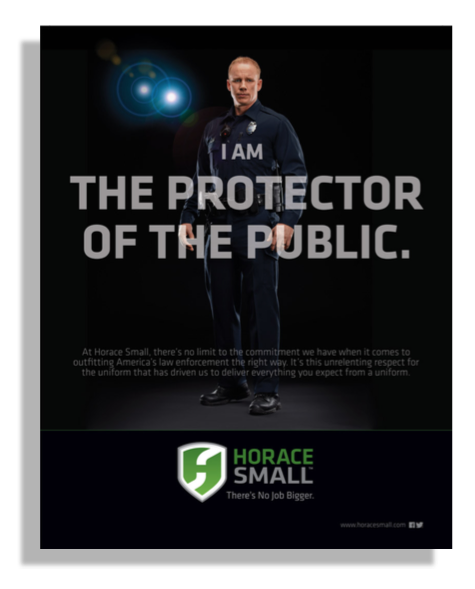 At Horace Small, there’s no limit to the commitment we have when it comes to outfitting America’s law enforcement professionals the right way. It’s this unrelenting respect for the uniform that has driven us to deliver everything you expect from a uniform. Over the past 77 years, we have continually optimized, engineered and fine-tuned our designs so the uniforms we make – like the men and women who wear them – are built for the call, ready to perform their duty, and suited for the ultimate act of service. You’ll find it all at Horace Small. Shelby Chodos, a public finance expert at Harvard’s Kennedy School – and, according to your evaluations, one of the most popular presenters ever at the Police Union Leadership Seminar – is back this year to discuss the facts and m yths of public sector finance. He will talk about where state and local governments spend their money as well as the ongoing fiscal and pension crises that Chodos maintains, are caused primarily by legislatures’ refusal to raise taxes and properly fund the pension plans set up for city employees. Chodos will help you understand the ins and outs of the confusing world of public finance, with special attention on understanding how your city’s bond ratings are determined and how to get the data on your city’s expenditures. Shelby is Adjunct Lecturer in Public Policy and has state and local public finance courses at Harvard for more than a decade. He is a retired managing director of Commonwealth Capital Partners, Inc., a private investment firm in New England. After receiving his Master’s degree from Harvard University’s Kennedy School, he spent a decade on Wall Street, where he worked for a major investment banking firm. He has served as an expert witness before numerous legislative and administrative bodies on finance, economic development and pension investment. He received his Masters from Harvard’s Kennedy School in 1982 on a full academic scholarship as the first recipient of a Truman Scholarship for his home state of Ohio. 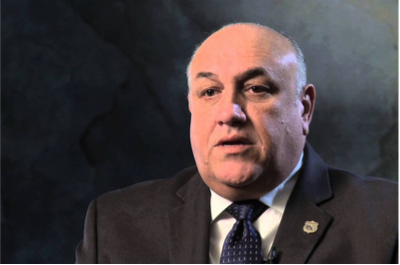 Jeff Lawrence – one of the world’s top leadership experts and a great friend of the men and women of law enforcement everywhere – will address one of the greatest threats to police unions today – generational indifference. This session will provide a valuable opportunity to discuss the “millennial” issue and talk about why most of the people who hold the power in police unions are afraid their younger members and successors are not ready to take the reins of the organization. We will also talk about what your association is doing to prepare the younger members to take control when the time is right. Who are the people in a position to replace them? What have you done to make sure they are ready? Just how ready do you think they are? What are the essential parts of your mission and/or operating model that must be preserved into the future? If we asked that same question to the people you think could take leadership roles in the future, how would their answers compare to the answers of the people currently in charge? Does the comparison concern you? This is a leadership problem that few people are talking about and Jeff will make the case that if you don’t figure it out – your legacy and the future of your association hangs in the balance. 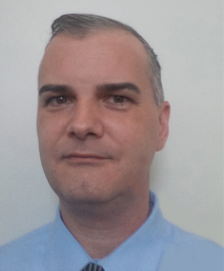 Jeff Lawrence is the managing director of Organizational Agility Advisors. 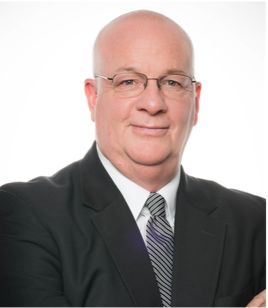 He has served as an advisor to senior executives across multiple sectors for over 25 years. In addition to his experience in the corporate, public and non-profit sectors, Jeff has taught leadership at Harvard University, Oxford University, the University of Warwick, and Northeastern University. Jeff’s experience in the fields of personal, organizational, and business development help him bring a broad range of capabilities to his advisory work. He is considered a unique talent for his ability to help clients generate new insights and options in the face of even the most vexing situations. His most recent work has focused on helping senior teams in the technology, finance, healthcare, and government sectors increase their ability to adapt, respond and thrive in turbulent times. 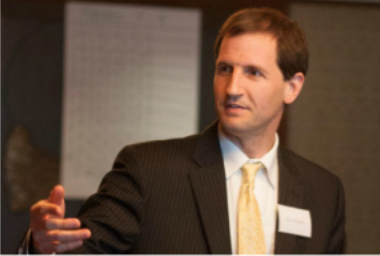 Prior to founding Organizational Agility Advisors, LLC, Jeff helped create and develop Cambridge Leadership Associates, a firm based on the Adaptive Leadership work of Ron Heifetz and Marty Linsky of Harvard University. Prior to his role at CLA, Jeff spent nearly 20 years in financial services, both in a corporate setting as well as starting and building two companies designed to help entrepreneurs build productive and agile businesses. A former Peace Corps Volunteer and Training Director in Southern Africa, he holds a B.A. in English and a M.A. in Counseling from Colgate University. A majority of law enforcement officers and their unions endorsed Donald Trump in the hopes that a Trump administration would be supportive of law enforcement. But what about the real issues confronting police officers and police unions? Urban police officers will still have to deal with long- standing social challenges in our communities presented by racial tensions, unemployment, poverty, unmet mental health needs and homelessness, as well as long-standing fiscal challenges posed by tight state and local budgets, such as understaffing, lack of funding for training and equipment and a crumbling urban infrastructure. In addition, many police unions are facing reduced pension benefits as many state and local governments attempt to dismantle defined benefit plans. and undermine the collective bargaining rights of public sector workers. Ron DeLord will lead a discussion about some of the problems that the labor and economic policies of the new administration will have for law enforcement, including how the proposed cuts in funding for a wide range of social services may mean more and increasingly dangerous work for the police. 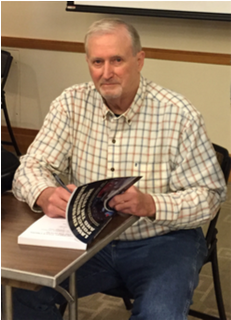 Participants will receive a copy of Ron DeLord’s newest book, Law Enforcement, Police Unions, and the Future. In this book, Ron DeLord and Ron York make the point that police unions must change the way they do business if they want to survive. This book identifies how to mount an effective political campaign, the complexities of confrontations, and the reasons police union leaders succeed and fail. Ron DeLord served as a police officer in Beaumont and Mesquite, Texas from 1969 to 1977. Beginning in 1977, Ron was elected to ten three-year terms as president of the 19,500-member Combined Law Enforcement Associations of Texas (CLEAT), a statewide police labor organization. He later served as executive director of CLEAT (2007-2008) and special counsel until he retired in July 2013. He has a labor consulting firm that provides seminars, training, negotiations and organizational strategies for public employee unions. 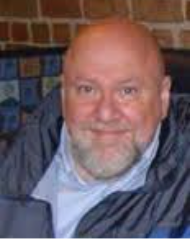 Ron has a Bachelor of Science degree in Government from Lamar University (1971); a Master of Arts degree in Police Science and Administration from Sam Houston State University (1982); and a Juris Doctorate from South Texas College of Law Houston (1986). He has been a licensed Texas attorney since 1987, is a graduate of the 10-week Harvard Trade Union Program (1992) and a prolific author. Having a clear communications strategy in order to provide your members and the public accurate and timely information is a vital component of any police union/association strategic plan, but that strategy can often get tossed out the window in the aftermath of a critical incident. This session will build on last year’s presentation, offering more practical and hands-on tips you and your association can use to respond in circumstances where establishing standard ‘command and control’ may not be possible. Michael will identify potential crises that your organization may have to prepare for and share ‘best practices’ and advice based on his experience as a former press secretary to a national politician with over 10 years of relationships developed with media and his more recent experience with the Canadian Police Association. Michael will also review some “hits and misses” from press conferences. Michael Gendron began a 10-year career working on Parliament Hill (Canada’s equivalent of Capitol Hill) in 2001 and served in a variety of communication and policy roles for the Minister of Transport, Minister of Social Development and the National Caucus Research Bureau before taking on a role as a Press Secretary with the Leader of the Official Opposition (Minority Leader) in 2007. 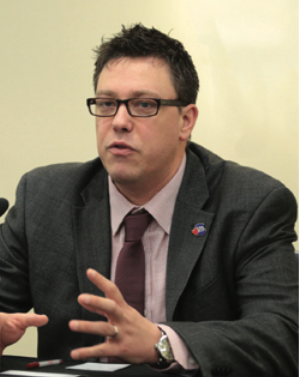 During his time in government, Michael was the lead policy researcher on the Justice and Public Safety files, and his work included briefing Parliamentarians as members of the majority caucus on issues of national scope, as well as working with key stakeholders in policy development. In 2009, Michael joined the Canadian Police Association (CPA) as a Government and Media Relations Officer, reporting directly to the National President and Board of Directors. In this role he is the first point of contact between the national media and the CPA Executive, and is responsible for helping to produce letters to the editor, op-eds and internal communications products for the association, he has also had the privilege of serving on a number of advisory committees, including the National Steering Committee for Public Safety Canada’s Shared Forward Agenda on the Economics of Policing. 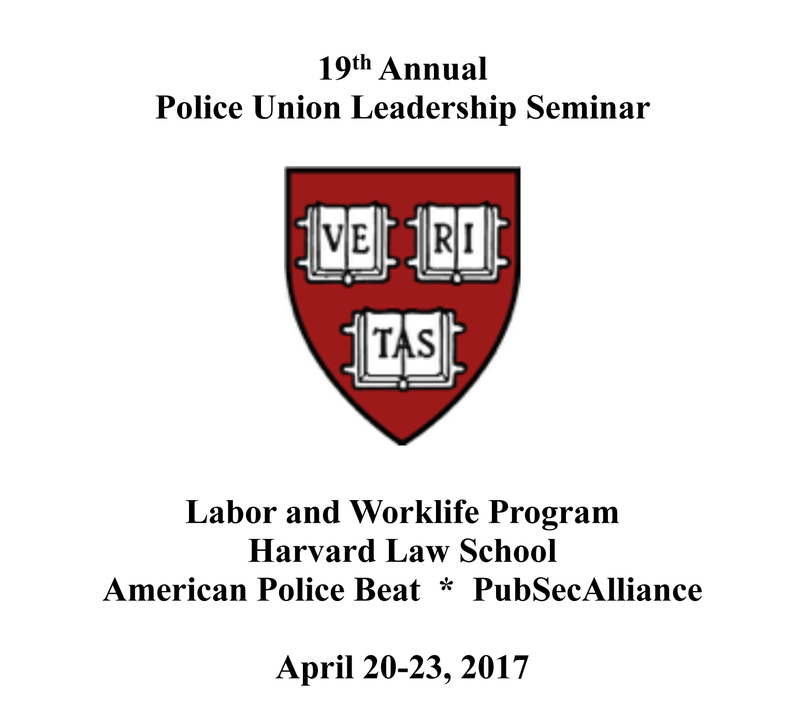 2017 will be Michael’s 6th time attending the Police Union Leadership Seminar at Harvard as a representative of the CPA. How might the mediation, negotiation and conflict management practices taught by groups such as the Harvard Negotiation and Mediation Clinical Program (HNMCP) help law enforcement and the communities they serve to reduce tension, open a dialogue and eventually building greater community/ police trust? Sara del Nido Budish and students involved in a collaboration with local police will discuss this important initiative. Sara del Nido Budish is a Lecturer on Law at Harvard Law School and a Clinical Instructor in the Harvard Negotiation and Mediation Clinical Program (HNMCP). She supervises student teams who work with client organizations, and teaches Harvard Law School’s Negotiation Workshop, an interdisciplinary course that focuses on conflict management theory and practice. She has also served as a member of the teaching team in the executive education courses offered by the Harvard Negotiation Institute. 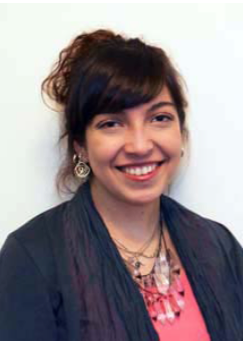 She previously served as the Clinical Fellow at HNMCP, during which time she supervised student groups including the Harvard Negotiation Law Review, worked on special projects in HNMCP such as a negotiation-themed podcast, and helped develop coursework on facilitation and multiparty negotiation. Prior to joining HNMCP, Sara served as a Research Associate in the Negotiation, Organizations & Markets Unit at Harvard Business School. Her writing has been published by the Journal of Dispute Resolution, WBUR’s Cognoscenti blog, Harvard Business School Publishing, and Harvard Law School Case Studies. 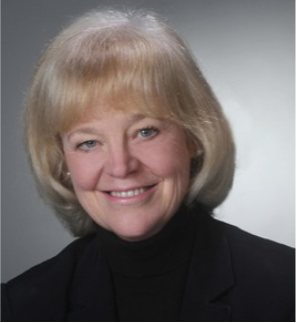 She also serves on the board of the New England Association for Conflict Resolution. During law school, she served as a mediator and Advanced Training Director for the Harvard Mediation Program, and as a student in HNMCP she designed and delivered a series of customized trainings for a group of medical providers focused on difficult conversations. She earned her J.D. from Harvard Law School, and her A.B. from Dartmouth College. Founded in 1993, Axon Enterprise has remained committed to protecting truth and protecting life with innovative public safety technologies. 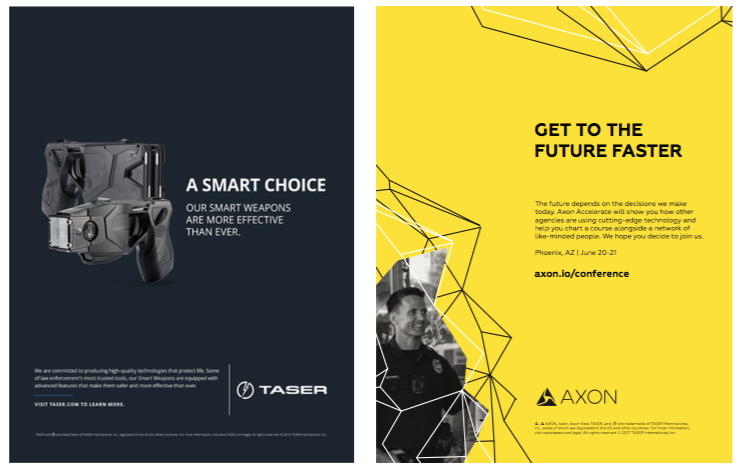 Our TASER devices and Axon platform have transformed how members of law enforcement do their jobs. Our Axon platform offers agencies an end-to-end solution for managing digital evidence that connects mobile, cloud, and wearable technologies. Agencies have relied on us for the latest in law enforcement technology because they know that solutions like Axon’s Evidence.com will make their lives easier and more efficient. To date, more than 158,000 lives and countless dollars have been saved with TASER’s products and services. In this session Cynthia will talk about the mission and goals of PubSecAlliance, an online community open to all the police association and union leaders and their members in the U.S., Canada and other English speaking countries. She will make the case about why it is crucial for your group to join PubSec and how and why to get your members involved. Participants are encouraged to tell us how PubSecAlliance can serve you better and be of more help and support during these challenging times. The deterioration of the relationship between police and the communities they serve has been a major challenge for police unions. In this session John Rivera, president of the Dade County PBA with more than 6,500 members, will talk about some of the initiatives his team has launched including hosting a weekly radio call in show, getting a Grammy award winning singer to produce a song that supports the police, organizing an aggressive political action campaign, fighting the privatization effort, and reaching out to other unions and the community. Never missing an opportunity to engage with the community, Rivera made the news when he bought and served pizza and drinks to a crowd of demonstrators outside the PBA offices. John will fill us in on what worked and what didn’t and give some helpful hints on how you can mount similar campaigns in your jurisdiction. John Rivera is president of the Dade County Police Benevolent Association and the Florida Police Benevolent Association, and in the law enforcement union world a shrewd political leader. He has been a relentless crusader against the effort in Florida to privatize every aspect of the public sector – from schools, to prisons, to law enforcement. During his law enforcement career, Rivera took countless violent criminals off the streets. He has served the Miami-Dade Police Department since June of 1976. Rivera worked in the Organized Crime Bureau for more than a decade investigating cases involving organized crime and political and public corruption. He was also the lead investigator on the Mariel Task Force. In May of 1990, he was promoted to the rank of sergeant. Throughout his career Rivera faced situations that became the foundation for his unwavering advocacy of law enforcement officers and the challenges they face: Rivera was shot in the line of duty while thwarting an attempted armed kidnapping, and held a fellow officer as he died in Rivera’s arms. That is why John Rivera is so adamant about never forgetting those who serve and protect. Rivera’s calling to be a voice for law enforcement began in 1989 when was elected to the Dade County PBA Board of Directors. He served on the board until December 1992, when he was elected president of the Association. He took the office of PBA President in January 1993, a position he still holds. Rivera is also president of the Florida PBA, which represents 30,000 officers across Florida. He is a vocal advocate for law enforcement and is committed to educating the public on the challenges officers face daily. Rivera has appeared repeatedly on national and local television programs focusing on solutions to problems facing the law enforcement profession. immy Baldea will talk about how this pioneering union-originated health and wellness program for law enforcement is helping police officers live better, healthier lives. The founder of the American eHealth Collaborative, Jimmy Baldea, will talk about why police unions should take the initiative to establish union-based health wellness programs for their members. He’ll explain the fundamentals of what a police-specific wellness program should entail. He’ll describe how police unions can position a successfully-running wellness program to secure additional benefits for their members. He’ll show how a union can boost morale through wellness, and how to gain and retain favorability ratings among members. He’ll offer examples of how unions have improved their relations with municipalities because of the implementation of union-based wellness programs. Lastly, he’ll explain how ongoing police health research can improve the lives of future generations of law enforcement professionals. Jimmy Baldea is a first responder who later became a technology professional. During his career, he provided a full range of technology and development solutions to several vertical markets including construction, defense, entertainment, finance, and healthcare. He served as a New York State EMT from 1994 through 2002, and founded a small software company in 2001. As a technology subcontractor, his team’s work led to the award of 6 U.S. patents. His company also worked on software used to chart the clinical progress of 35,000 patients in Harlem, New York, and used this data to help create new Best Practices in Diabetes Treatment for several outpatient medical teaching and patient-care facilities in New York City. This work led to improved patient outcomes and reduced expenses. He still serves the needs of the Nassau County (Long Island, New York) Department of Health, as a volunteer for, and an active member of, the Nassau County Medical Reserve Corps. He worked on several other initiatives, then later established a consulting firm. He founded the American eHealth Collaborative in 2014. Any info on the 2018 seminar?